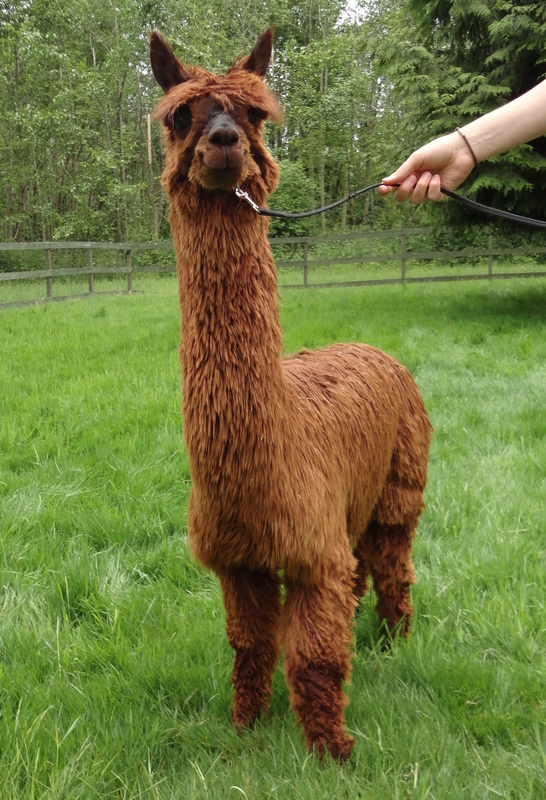 Upon first glance in the field you'll notice a BRIGHT, SHINING fawn alpaca; this boy forces you to notice him straight away! Darwin has absolutely incredible luster that reflects light giving him a glowing appearance. With fine fiber that is individually locked he has fantastic density from head to tail. Dense fiber covers his head with a top knot that is nearly over his eyes at five months old. This male has a regal presence with a show-quality stance as if he knows he's something special. Darwin is out of our foundation female "Critter" who is also the dam to our champion grey male Granite. Critter has consistently given us outstanding offspring and Darwin is no exception. Darwin has inherited the luster and fantastic fiber from his sire "Chimayo". Although Chimayo wasn't able to show in many halter classes he did receive numerous awards for his fiber including best luster and best hand. Darwin's luster and soft handle alone are enough to want to add his genetics to your herd, but the combination of those traits with a gentle demeanor is nothing but a win-win situation for you. EVOLVE your breeding program with "THIS IS DARWIN!". This guy would make an outstanding herdsire and you can't beat this price! What a great guy for just $500! "Medium brown" doesn't even begin to describe this boy's color! Maroon would be a more accurate description. Red Rider is a handsome, macho little guy. He has a very "studly" demeanorbut is very easy to handle. His dense, greasy-feeling fleece sports AMAZING luster and the highly desirable "wave to twist" lock style! Ryder glistens has he gallivants around the pasture! Ryder is full Peruvian and is the son of our very own Granite (rose grey) and Ruby (maroon). His full sister was a black champion! This guy should go far as a herdsire and in the showring! Update - Ryder sheared off an outstanding 2.7 pound blanket!!! We sent out a fleece sample for a histogram and we are waiting on the results! This is "THE" find for a jr. herdsire! 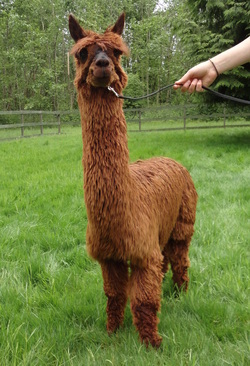 He is exactly what your breeding program has been looking for and he is only $500! Caped Crusader is what we call our "eye candy" in the field. He's one of the first suri's our guests notice due to his rose grey cape and four rose grey socks. Crusader inherited his parents' dense fiber, greasy feel and independent and thick lock structure. This young male sheared off a 1.6 pound blanket at 9 months--we sheared him all the way down due to the amount of growth he had clear down to his toes! He has a gentle dispostion and is a real sweetie to handle. This boy produces fiber like crazy! 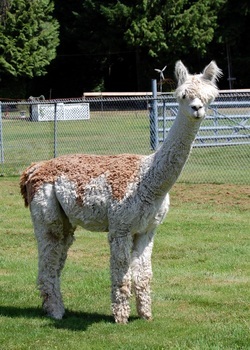 He had the highest 1 year growth blanket weight out of our whole herd during 2011 shearing! Update - Cape's 2012 blanket weighed 4.8 pounds!!! 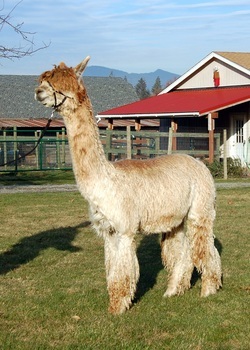 Caped Crusader would make an outstanding fiber male OR herdsire for just $500!